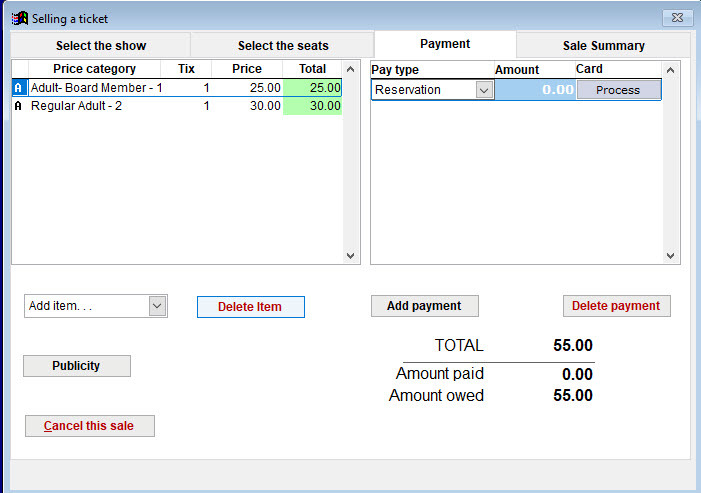 The first part, of course, is choosing Reservation as payment type when making a regular sale. 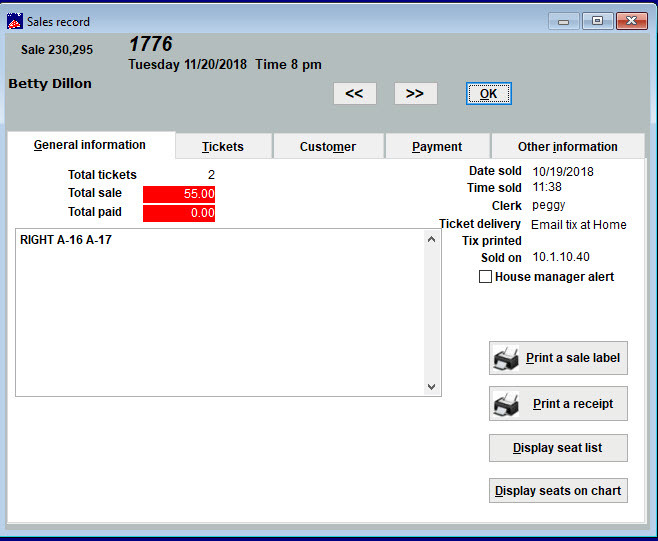 To convert the reservation into a sale, open the sales record by going to Sales | Sales records (you can search for the sale by name, sales number, etc.). On the General information tab, you can see that the sale is out of balance because nothing has been paid. You can see the Payment type is Reservation, the amount paid is $0 and the balance due is $55 (in this example). 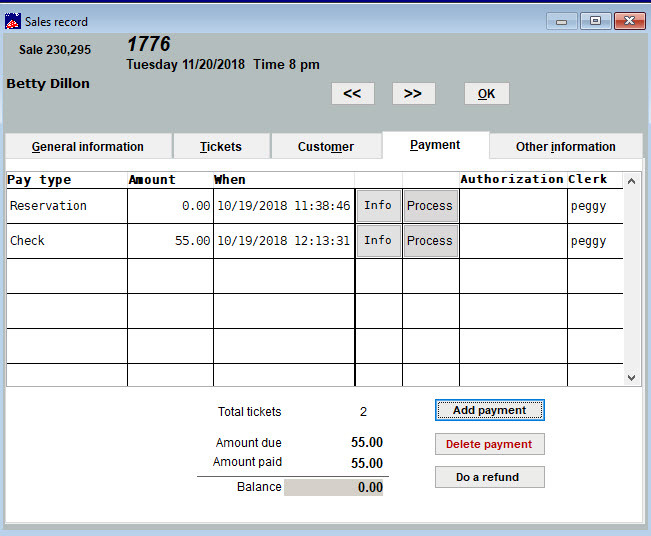 The Adding a payment record window appears. 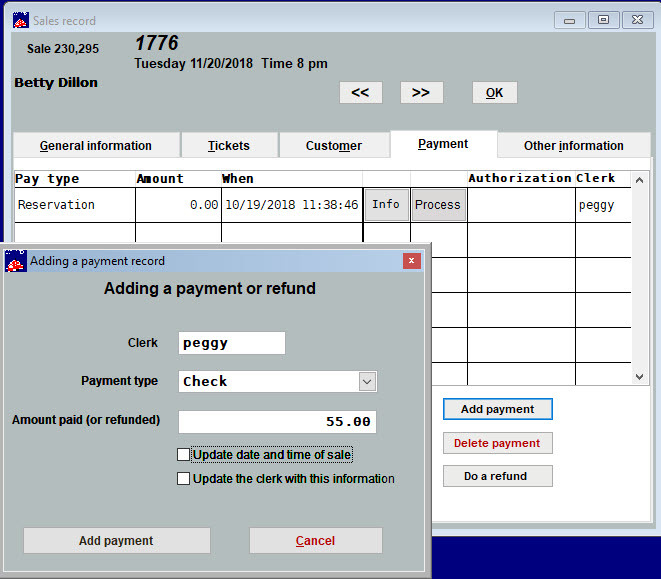 Input the needed information and click Add payment. 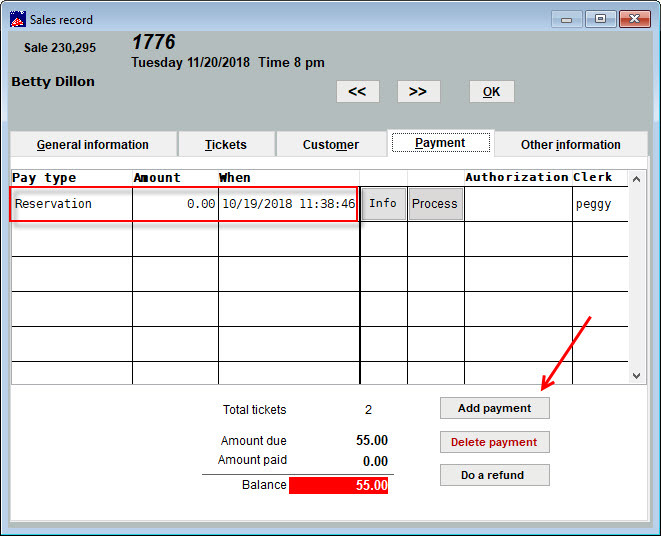 IMPORTANT: Do not erase the word “Reservation”, then overwrite the pay type when adding the payment to a reservation. ONLY edit the Pay Type if a mistake has been made originally inputting the type and needs to be corrected later. NOTE: All the sales history is now under one sale number, which makes the sale easier to track. The reservation is now a sale and the sale is balanced.